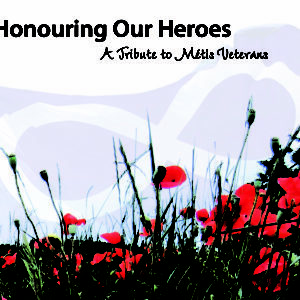 The Tribute Package includes a lapel pin sash, commemorative pin*, and postcard*. 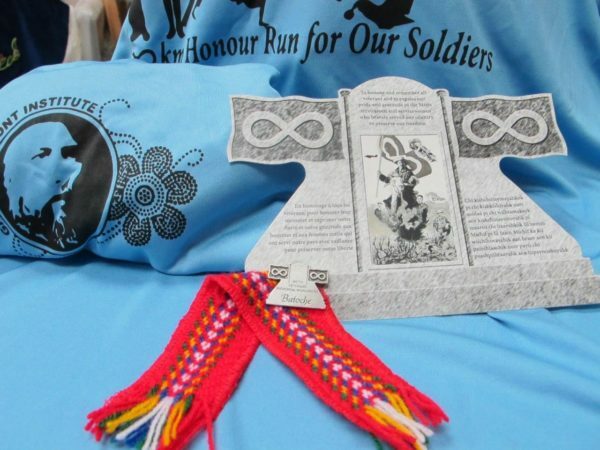 80 youth and their companion runners will be honouring Métis veterans from across the homeland and celebrating the unveiling of the Métis Veterans Memorial Monument at Batoche, July 19, 2014 at 10:30 am. Over 7,000 names have been gathered to date. 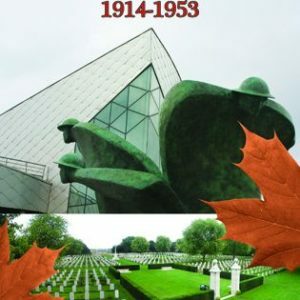 The arm bands, commemorative pin, and postcard will be available as keepsakes with all proceeds going towards the continued growth and upkeep of the monument and site. 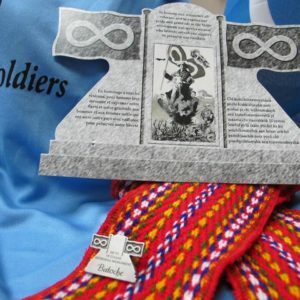 The Tribute Package includes a lapel pin sash, commemorative pin, and postcard.